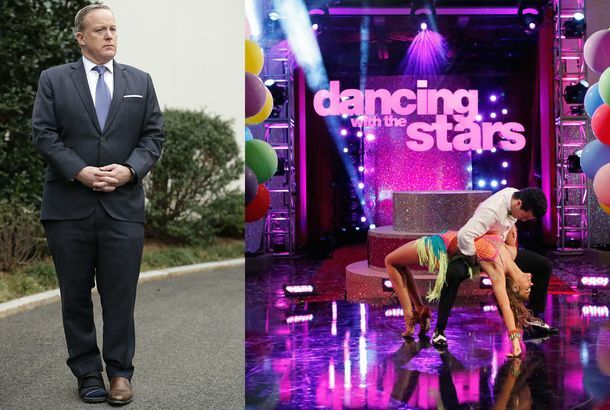 Bachelor in Paradise’s Grocery Store Joe Will Check Out Dancing With the StarsThe rest of the cast includes Nikki Glaser and Mary Lou Retton. Dancing With the Stars Recap: The Beginning of the EndJordan is, by far, the best dancer of the bunch. Dancing With the Stars Recap: Three’s CompanyHow does the Carlton Dance not get a perfect score? Dancing With the Stars Recap: Pumpkins and Paso DoblesI already miss making fun of Nick Lachey. Dancing With the Stars Recap: Last Tango in TinseltownWhy is Shania Twain a guest judge? DWTS Recap: When You Wish Upon a Dancing StarThis episode pushes more Disney products than the gift shop in the Magic Kingdom. Dancing With the Stars Recap: Don’t Cry Out LoudI needed a big box of tissues for this episode. Dancing With the Stars Recap: The Show Must Go OnLet’s be honest: We watch this show to see who screws up. Dancing With the Stars Recap: Latin NightJudge Len doesn’t know how to pronounce the word samba. Dancing With the Stars Recap: Our First Dance TogetherLisa Lampanelli recaps the “stars” of ballroom night. Meet Vulture’s New Dancing With the Stars Recapper: Lisa LampanelliWe gave her a questionnaire to prove her recapping bona fides. Everything’s Coming Up MarlaWhat a life. Nick Viall and Vanessa Grimaldi Talked Bachelor Finale on Jimmy Kimmel Live!After The Bachelor finale, Nick Viall and Vanessa Grimaldi talked about their future plans. Simone Biles Will Reportedly Compete on Dancing With the StarsShe’s said that her dream dance partner would be Sasha Farber. Watch Florence Henderson’s Final TV PerformanceShe supported her TV daughter, Maureen McCormick, on Dancing With the Stars. American Sweetheart Laurie Hernandez Won Dancing With the StarsLet’s be honest, who can resist those power moves and doelike eyes? The Houghs Will Triumphantly Return to DWTSPrepare for Lochte vs. Hough drama. Alfonso Ribeiro and Witney Carson Win Dancing With the Stars Season 19He really Carlton-ed his heart out. Ann Romney Will Not Dance With the StarsSorry, America.